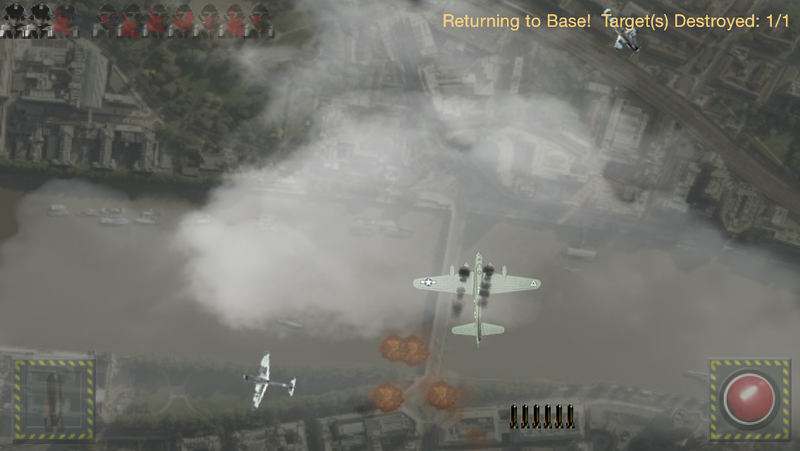 In Bomber Captain, you take command of a Bomber in the midst of WWII as a recruit working for the Allied powers. Battle your way through several exciting missions as you face an onslaught of Axis fighters and guns in order to reach bombing targets including military factories, U-Boat docks and government buildings. As a valued member of the Allied forces, you have the power to turn the tide of war. Prepare for battle! 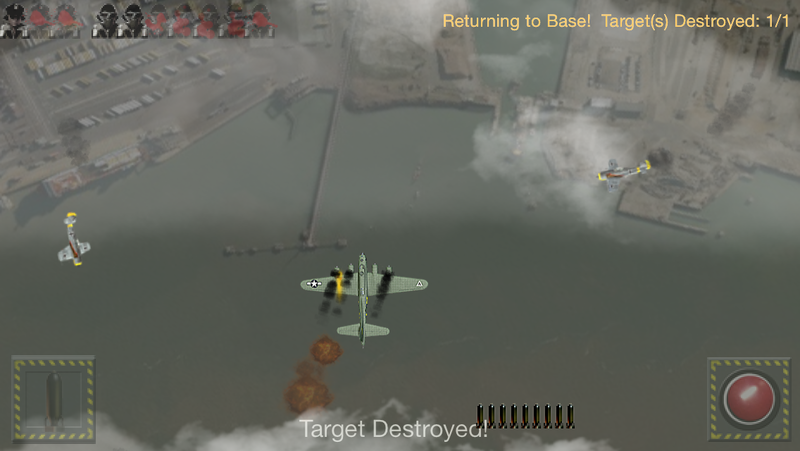 - Take control of your bomber by tilting your device to the left and right to dodge oncoming attacks. - Simply tap on the screen in the desired location to fire machine guns at attacking fighter planes. You can fire up to two volleys of machine gun bullets at the same time with two fingers. 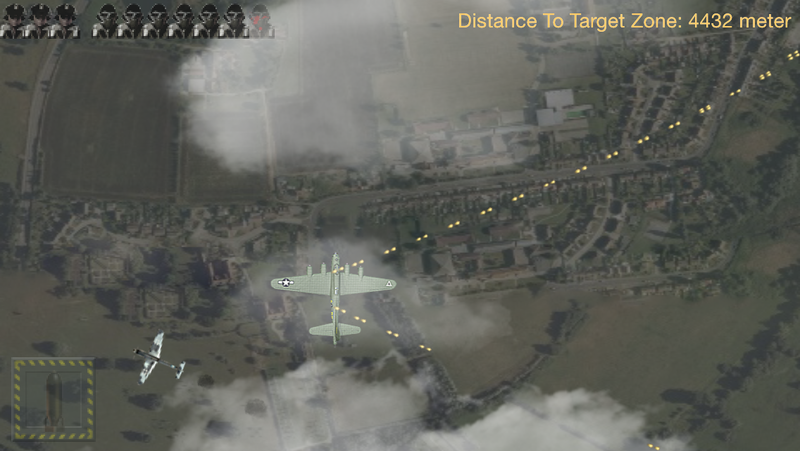 - Launch a set number of bombs at the touch of a button to hit marked targets and complete your missions. - Realistic ground maps and plane models along with sound effects give you a feeling of participating in real battles. - Volleys of ground to air missiles keep you on your toes as you prepare to bomb a target. - Heavy damage to the plane, depending on where you're hit, can either cripple the engines or kill crew members. It's game over if all your crew members die or if all of your engines are destroyed. It will be a hard fought road to victory! - Fly and fight your way through 12 exciting missions each with unique backdrops and mission targets and earn medals after certain battles. - In missions you control a B-17 bomber and you face enemies that include FW190A and ME109 fighter planes. - With timelines and story lines for each mission that are based on historical data, the intensity of the war resonates with each mission. - Difficulty settings allow you to play the game at your own pace. Whether you prefer to take it easy or face an uphill battle, you can pave your own way to victory.